I really enjoy the author’s use of landscape imagery that poetically illustrates the blessings that come from from scriptural familiarity. I really enjoy the author’s use of landscape imagery to poetically illustrate the blessings that come from scriptural familiarity. Thank you for the courage to share your talents so openly. 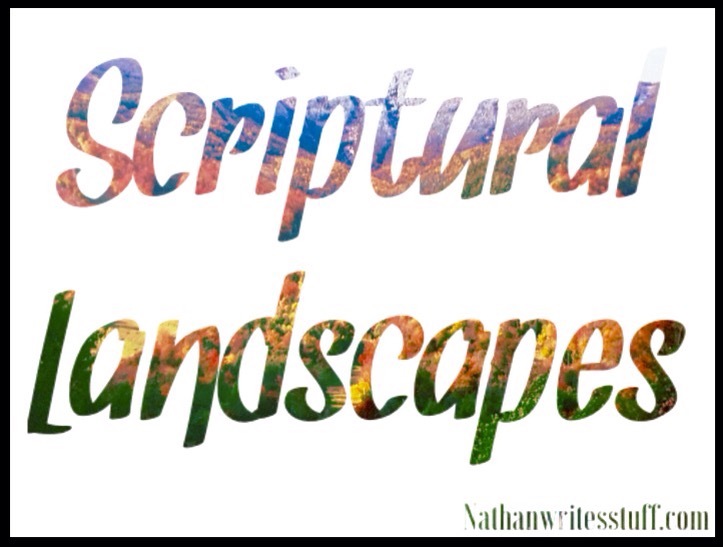 I truly connect with this amazing portrayal of scriptural landscapes and read as if you were there. To inhabit the scriptures is to walk side by side with Abraham. To feel the prints of the nails with Brother Thomas or to look into Eve’s eyes as she says to Adam, “Do you intend to keep all of Fathers Commandments” The Landscape Vies, in my opinion is the only way to study in depth Holy Writ. Thank You Brother. Breathtaking and exquisite! A perfect weaving of the senses… To offer us your gift with language through your dedicated and focused labor elevates us all! Humble gratitude for the privilege of reading…. Thank you Leslie! I appreciate the encouragement.